A practicing financial planner, Steve is a business planning strategist offering a concierge service for select clients that is a results-driven with a formal strategic process wrapped in unparalleled service. He acts as a resource to closely held business, including overall business plan, succession plan, executive retention and business transition. Collaborations are based on the premise that complex situations require profoundly simple solutions. 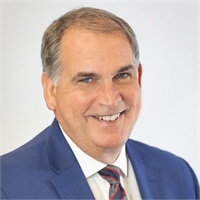 Prior to relocating back to the Chicagoland area in 2007, Steve served in executive-level positions at American Express in Minneapolis and at MetLife in New York City, focused on relationships with FORTUNE 500 clients and their employees. Steve has no hobbies as he works all the time, and spends most summers in Tuscany.